In Viking Age ship graves there have been found large amounts of animal bones: In the Gokstad burial mound (c. 900 AD), there were eight large sighthounds (Old Norse: mjór) buried on both sides outside the ship. A small lapdog was also buried inside the longship. Bones from two peacocks, several hawks and fourteen horses were also excavated. – Sighthounds are large dogs which may resemble Irish Wolfhounds. They had a very high value. I have found that even small dogs had a high value by studying the Frostathing law. If somebody killed such a dog they had to pay a fine equivalent to the price of a thrall (slave), Assistant Professor Anne Karin Huftammer at the Natural History Collections at the Bergen Museum told in connection with the investigations of the animal bones back in 2010. Also in the Osberg ship dated to about 834 AD, there were found animal bones from fourteen or fifteen horses, a cat, a Eurasian woodcock, a red-breasted merganser, a bull, a cow, and four dogs. There are also excavated bronze fittings which presumably have belonged to a dog harness. 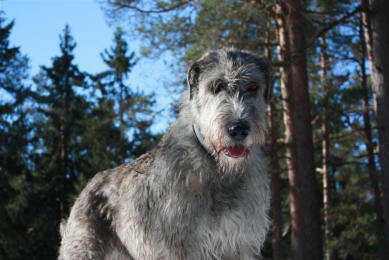 The Vikings brought the dog with them when they in the 9th century colonized Iceland. 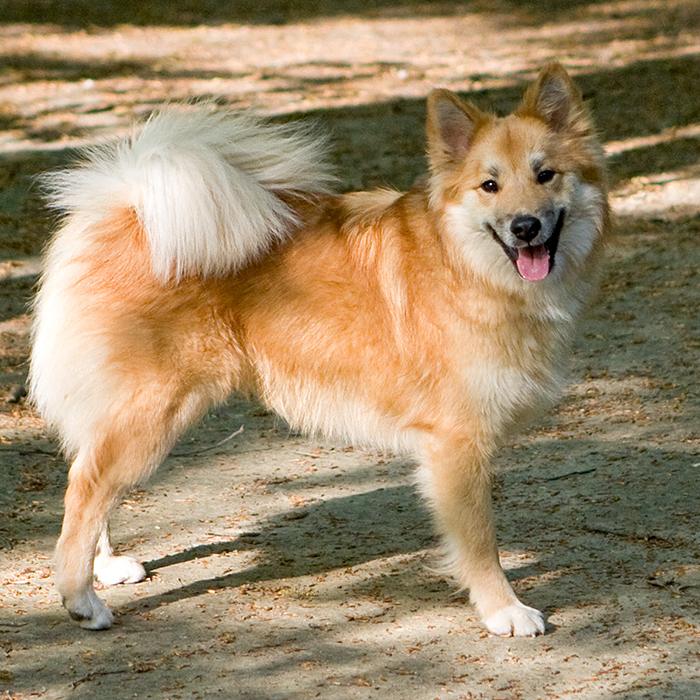 Today, the breed is known as Icelandic Sheepdog that maybe is one of the oldest in the world. The Icelandic Sheepdog almost disappeared in the 1950’s, but was rediscovered by Englishman Mark Watson who started systematic breeding. The dog is strong and robust with a dense, waterproof coat protecting against temperature fluctuations, which is necessary for it’s survival in the harsh Nordic climate. The Norwegian Elkhound and Buhund are close relatives. On Brattalid (Old Norse: Brattahlíð), Eric the Red’s Farm in Greenland, there are excavated bones from a big long-legged dog, while there on other farms in the area have been found bones from a smaller dog breed that could be the Icelandic Sheepdog. In the Orkneyinga saga, we can read about a lapdog that the owner brought with him on travels overseas. On their last journey, the owner and his dog were attempted burned to death, but the owner managed to escape and took the dog with him. He was pursued and did hide under cover of darkness, but the dog barked and they were discovered and killed. The story illustrates the close relationship between the Vikings and their dogs. Archaological findings and the Viking sagas show that the dog had a high status and value in the Viking Age. and that dogs were used for a variety of tasks: Guarding, hunting, fighting, herding – and as sled dogs and companions.